I don’t believe in the Inspiration of Scripture. Before you stop reading and condemn me as a heretic, let me explain. I do believe that God was behind the writing of Scripture to give us an accurate and authoritative account of the history of His people and the early Christians. But whatever happened from from God’s side of things in the process of writing Scripture, I’m just not sure it can be called “inspiration of Scripture” as classically defined. To the contrary, I find it possible that the doctrine of inspiration of Scripture as classically defined has erected the Bible as a Sacred Relic to be worshiped by the masses. I don’t think this was done intentionally, but it simply a consequence of the doctrine. Over the next several posts, I want to explain the history of the doctrine of the Inspiration of Scripture, the passages that are used to defend it, and provide a slightly modified and nuanced approach to the process by which I think God might have superintended the writing of Scripture. But before I get to any of that, today I just want to explain what led me to start questioning the doctrine of inspiration of Scripture in the first place. About five years, I becamse aware of a recurring historical problem within Christianity, and within my own life as a pastor, where church leaders tell church people that they cannot really understand Scripture without the priestly/clergy/pastoral class to explain it to them. So the church decided that in order to control the development and spread of heresy, the church would have to make formal decisions about a few things. So they met in counsels and made their creeds, and to be honest, came up with some pretty good stuff. Along the way, one of the ideas that developed was the explanation for why the Bible had to be protected from the ignorant masses. The reason is that it was not like any other book. It was a special book from God. 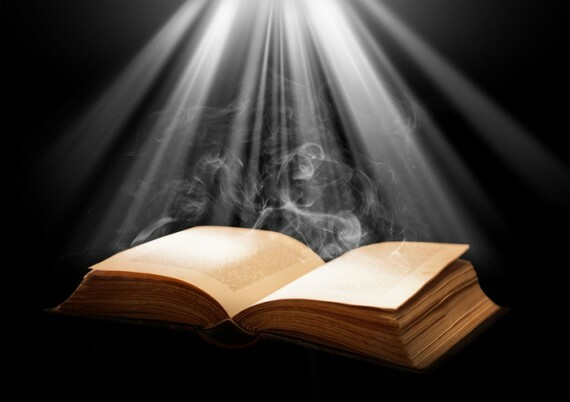 It had greater power and authority than other books, and as such, could only be entrusted to those who were trained in how to read and understand it. One of the primary ways they did this was by making the Bible available only in Latin, the language of the educated elite. This situation continued, along with numerous abuses, for a little over 1000 years, until some of the “Protestant Reformers” came along, and decided that to win their battle with the Catholic Church, they should translate the Bible into the language of the average person, so that they could read the Bible for themselves. Note that there was still vast illiteracy at this point, but still, at least those who could read the common language (who were still among the educated elite) could read the Bible for themselves. This was a good move by the Reformers, but as with pretty much everything the Reformers did, they did not quite go far enough. Some of the early translations were from the Latin, but others came along which were based more on Hebrew and Greek, the languages in which the Bible was originally written. So while translations were made available in the languages of the common people, the doctrine of inspiration stated that only the original manuscripts were inspired. The translations were not exactly “inspired” in the same way. Thus, to truly understand what Scripture really meant, a person needed an understanding of Greek and Hebrew. Effectively, though we have given the Bible back to the people in their own language, in actual practice we have maintained the power, position, and authority of the priestly/clergy/pastoral class as the accurate interpreters of Scripture. In such a way, through the doctrine of the Inspiration of Scripture, the Bible is set up on a pedestal as a “Holy Book” and the clergy are viewed as the holy Keepers of this Sacred Relic. As the Keepers, they have gained unimaginable power to control the masses by “magic words” from the pages of this relic, which only they can understand and explain. A lot of this is due, I believe, to the doctrine of the Inspiration of Scripture. If the Bible truly is the inspired Word of God, then it needs to be treated with utmost attention and care by highly-trained professionals who can tell the ignorant masses what it really means. But what if the doctrine of the inspiration of Scripture is wrong? 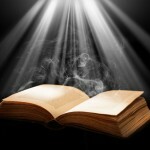 What the Bible really is a book from God for all people? That was one of the questions I began to ask five years ago. While I do not yet have a fully-formed answer to this question, over the next few posts, I will present what I have so far, and let you weigh in on the subject. For now, what do you think? Am I over-reacting? Is is okay to have a priestly class to act a mediator between God’s Word and God’s people? You echo many of the same concerns that I have had in regard to the use of scripture — especially in relation to Hebrew and Greek. I find it interesting how many times simple lay people, taking hold of a promise in their translation without regard to the original language or even, sometimes, the context of the passage have been blessed tremendously by God for their faith. I think we make the Bible much harder to access than we should. Our English translations are far superior (more accurate to the original) to nearly any other language in the world, and yet people overseas do not seem to have a problem living by faith… but we do! It would seem the problem is not a lack of knowledge of the contents of the Bible but a lack of belief in those words or, more accurately, a belief in the Person that they describe and profess. We are thinking along the same lines! Truth be told, I am curious to see where this series leads also, as I don’t really hold any formalized conclusion yet. I am just thinking it through as I write. But the general direction I am heading is what you have stated it above. It’s about Jesus and following His example, not about making sure we have the most accurate translation possible. God did not establish any church so what god has established yours. http://www.ekklesiabible.com The God of the Bible did not leave the novice without a voice and a vote for truth and understanding for salvation. Our heavenly Father established the court in the Greek Septuagint, the Old Testament “Ekklesia” for the New Testament spiritual warfare made against the Gates of Hell though conduct of Ekklesia. Any dispute about truth is to be determined by deliberating before all. Of course we don’t need a priestly class or people fluent in Biblical Greek and Hebrew to explain the Bible. On the other hand, I remember the fellow in the Bible discussion group who, after reading several verses in Luke that had absolutely nothing to do with prostitutes said, “So this means it’s o.k. to go to a prostitute”. Left on their own, some people seem to find really crazy stuff in the Bible. There are also those religious professionals who supposedly have had all the theology, Greek and Hebrew classes offered in seminary who also seem to find their own version of crazy stuff in the Bible, and teach it to their congregations. Could it be that some have made the Bible into something more than its writers ever intended it to be or that it even claims to be? Perhaps there is something to the idea of Bibliolatry. Yes, the Bible doen’t speak to every quetsion, but I don’t think that is the purpose of the Bible. I think it gives us a kick in the right direction, and then lets us improvise. I was once a Bibliolater, so yes, it does exist. Yes, the Bible is useful and helpful, but not an answer-all-questions book, or a rule-book. That seems to make some people uncomfortable, so they need to find a rigid system in the Bible that governs every thing they think and do. They try to force the Bible to say stuff it doesn’t say. Then heaven help the rest of us if we do something that have decided the Bible speaks against. Freedom is frightening for some. I love it. Obviously some people can abuse it, but it’s not my job to straighten out others based on what I may or may not think the Bible says. Well, I personally think you’re making a mountain out of a molehill. Though there are people among the ‘priestly class’, as you call it, that use the doctrine of inspiration to lord their educated/professional status over the average church members, there are plenty of others (such as my pastor, and probably most every Calvary Chapel pastor) who approach their charge as shepherds of the flock with the proper attitude of a helper and clarifier to the flock seeking to understand the meaning of the Bible. However, we approach the doctrine of inspiration slightly different than you have described. Although we believe that the original writings were inspired and infallible, we do believe that if God is who He claims to be, He’s powerful enough to preserve His words through the translations as well. We do, however, believe that it is highly beneficial, though by no means necessary for the average person, to dive into the original languages to catch the nuances that simply can’t be or weren’t carried over into the modern translations. I do rely on my pastor (at present) for those nuances, as, at least until I finish my Religion Bachelor’s and find a way to move beyond, financially, into the land of seminary, I don’t, and won’t, understand the original languages. I may try to learn before I start classes if I find myself with the time and drive to do so, but I know that God can communicate His will to me through His word in the modern day Bible translation I carry on my phone, or read at home, or pick up from the church pew. He’s God, He created the world, and continues to interact with it. Just as he is not a clockmaker God, neither can I believe that He simply inspired the original manuscripts and then just left the Bible to be shredded by the hands of Man. He is still in the business of protecting His word so that any who hear it will be without excuse. I love the Calvary Chapel churches. I think they often do a good job in teaching Scripture. Some of them are led by authoritatian pastors, but not all. I am sure a lot of my outlook on this is due to my own encounters with authoritarian pastors, and my personal experience of being one. I am not comfortable with the idea that God guides translations. Which one? All of them? What about where they radically disagree? Which one is correct? In the end, however, I do think that God is behind the writing of Scritpure and the translation of Scripture, just as He is involved in the teaching and application of Scripture, but I am still working through “how” this happens. I would love to get your input as the series moves on. I understand more where you’re coming from now than I did when I posted on Google+. Yet there are many modern language translations that are faithful inspired pieces of work – though I do shy away from the “KJV is the Only Version!” thought, which is no different to the Latin Vulgate philosophy Romanism taught. I believe the Bible is the living word of God. The interpretation of that is open to all believers, for Jesus teaches us, through the word (the Bible) by the inspiration of the Holy Spirit. Words on a page may give us head-knowledge, but we need the Spirit to “counsel” us. It sounds like we have many similarities in our thinking of Scripture. Of course, the more I study, the more certain I become that all translations, including the NASB, NKJV, and definitely the NIV, have “built in” interpretations. Maybe not as bad as the NLT and The Message though. I too have problems with the idea that translations always “preserve His words”. Translators do not always agree. Some are poor translators. Some are trying to give their idea of what they think it says rather than strictly adhering to translating the original into modern language. Some translators appear to have an agenda. Just recently I was cornered and had to listen to a fellow who is convinced the translations are inspired. That speech somehow shifted into a diatribe against various translations for “errors”, which might be defined as things in various translations that did not agree with his theology. Well, I can’t claim to agree with every translation. However, I can appreciate the variety of understandings of Scripture. We are human, and thus cannot rightly express or understand every nuance or concept which God has given us in the Bible. Our perspective is highly narrow and temporal, and thus our individual understandings of the Word of God are going to be different, and, in places, disagree. We must realize that because the Christian church is fractured on specific ideas and even on some of the Essentials, our translations of the Bible are going to be fractured. That does not necessarily make them wrong, it simply makes them different, in similar vein to the differences between the Gospels if I may make the comparison. I like to study through multiple translations of the same verse(s) to gain a better understanding of what I’m reading. With the multitude of varied translations and word choices comes a multitude of perspectives and nuanced understandings of the multiple uses of the original words. I don’t pretend to claim that reading the Bible in the original languages is in any way superior to reading it in the modern languages, because an improper perspective will still yield an improper theology, no matter what language(s) or translation(s) you happen to be reading. And, while I cannot truly express how it happens, I believe that the Word of God is preserved through the translations. That does not mean that every translation is word-for-word accurate or ‘inspired’, but simply that God protects the message of the Gospel through human hands. Because He has not ‘inspired’ these human hands, there will be errors sometimes, but I do not believe that such human mistakes will make the Bible any less the Word of God. He’s said His word will not return void. In order to return, it must first go out, and in order to go out, it must be preserved in order to be taught to those who will spread it. I think this is one of those statements that really gets under my skin. It has literally, at times, turned me away from reading the Bible because I feel like “whats the point? I’ll never understand it.” I get fearful that I’ll fall into error or something. Or, another attitude is that in order to “really” understand the bible, you have to understand the Hebraic mindset…which is very different from the Hellenistic mindset. Our culture leans more towards Hellenistic, so we interpret the Bible through that lens, which is inaccurate to the “true intent” of the original authors. Well, I’m not Hebrew or Greek, I’m just me. All I know is that I love Jesus, and I want to know His word in order to understand Him, I speak English, so that is the kind of Bible I’m going to read. I think God is big enough to be able to reach me even through that. Honestly, what it comes down to is this: We have the Holy Spirit on the INSIDE of us. As believers, we have the indwelling of the Spirit of God. It is through THAT lens that we can understand His Word. He said that if we seek Him, we will find Him when we seek Him with our whole heart. I believe God knows who are His, and He knows how to reach us. Those who misinterpret Him and His Word, will be accountable for that, and will be judged by their heart and the condition of their spirit, not by their misinterpretation, if that makes any sense at all. Isn’t it the Spirit of God that gives us enlightenment and understanding, and reveals Jesus…who is the Word made flesh… to us? I often think of those who live in places where they cannot access the Word of God, yet hunger for His Word. I’ve heard of underground churches that would rip pages out of ONE Bible and pass them around from group to group, and memorize those pages. It is very clear that the Words of God are indeed precious and should be held in high esteem…but I also believe the Word of God is for EVERY tongue, tribe, and nation. I’m rambling, but I am curious to read the rest of your series to see what conclusions you’ve come to. You are not alone in your feelings. I have talked with so many people who feel this way. Just when they start to read and understand the Bible, someone comes along and throws water on their efforts by telling them they didn’t understand it properly. Yes, following Jesus in a lifetime of learning and understanding, but I think that “fear of being wrong” has stopped many of us from wanting to learn more. Hopefully this series will provide some freedom for you to read the Bible and trust the Holy Spirit to guide you in your reading and learning. The next post should be tomorrow or Friday. See you then! If the Bible is the inspired word of God (which I certainly believe it is), that does not mean that the masses shouldn’t have access to it or cannot understand it. Yes, those more trained should be respected, but that doesn’t mean there has to be a priestly class acting as a mediator between God’s word and God’s people. I certainly think (as you have shown) in the past that the doctrine of inspired scripture has caused some to place the Bible on a pedestal that only the clergy should have access to, but just because some have unfortunately held that view, that does invalidate whether scripture is inspired or not. That to me seems quite explicit. I always have to remind myself that just because I disagree or don’t like something, that doesn’t mean that it is wrong. By the way, I found your blog through GraceBlogger. I’m looking forward to your insights in to how to build a quality blog! Thanks! Glad you found us! Over the years, I have been getting a lot of questions about my blog, how I set it up, and how people can seet up their own. Many of these questions were repeatedly asked, so about two months ago, I decided to just start a blog where I could show people what I have learned over the last five years of blogging. I hope that resource helps some people! Feel free to ask any question you want. I have decided to stop lurking and ask you a couple of questions. I know that with your seminary training you have thought of these and I am sure that you have answers for them. However, I think it would be a service to your readers if you gave us your insights on these items. I agree that there have been many attempts to keep scripture out of reach of the laymen and that these attempts have often been a cynical attempt to keep power concentrated in the hands of a few. Is that really the only reason why the doctrine of inspiration was developed? That is quite an assertion. How do you know that is the only reason that the doctrine of inspiration was developed? Were only dishonest men involved in the development of that particular doctrine? I really like an online book titled “CALVINISM: A Closer Look” by Daniel Gracely which I keep going back to. Mr. Gracely has a wonderful chapter in that book titled “Translation as Interpretation” which I recommend to anyone who wants to get a taste of how translations can be skewed. I suppose that my point is that if God communicated to us using the Bible then it matters which Bible we use. To say anything else just seems like mysticism to me. If we have no reliable source for revealed truth then we have nothing. I think you might be surprised where I land. It might be just a slightly more modified and nuanced version of what many call “inspiration.” Maybe. I still don’t have all the kinks worked out, and blogging is one way to help me work through the pitfalls and iron out the wrinkles. I love your blog Jeremy! My father has been a pastor for almost 50 years now, and I have had so many questions about God (I’m 50 now). I was the “worship pastor” at a church for 5 years and just left several months ago because I can’t do this church thing anymore. The things I’ve read so far on your blog have been very refreshing to me. I read the blog about the traditions of baptism and communions, and are they really to be observed today, and totally agree with your viewpoint. Thanks for the great information. Thanks, Tim. Wow. What does your father say about you stepping away from church ministry? I don’t think he quite understands where I’m coming from. He’s very traditional when it comes to church stuff. I just see most of what church is doing as simply tradition and habit with very little change produced in the lives of the people attending. I know there’s got to be more Jeremy. I love C.S. Lewis and read he had a very difficult time attending church as well, although he did see some merit in it. I just want passion and purpose and I don’t see that in any churches I’ve attended. They seem to be program and institutionally driven. Thanks for responding to my comment Jeremy. Keep up the great work on your site. And I can’t seem to find any links to your promised follow-up articles. Nevertheless, if I maybe permitted to make a comment or two. I too agree that the scriptures are not inspired; but perhaps for different reasons. We have indeed reached a place where the Bible is being revered and “pedestalled” in a similar way to the relics of the apostles, but with a Protestant twist. My conviction is that, although the church fathers did us many great favors, the true doctrine of inspiration is mired in antiquity because they chose the word ‘inspirata’ in Latin instead of ‘expirata’ for the Vulgate. 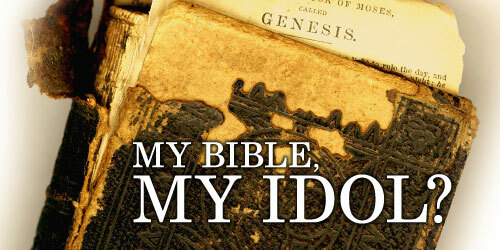 It is not the words, phrases or books of the Bible that are/were breathed into; it was the authors. The men who God selected, in history, knowingly or not, were breathed into by the Holy Spirit and they were used as God’s instruments to pen that which He ordained to be breathed out upon the world for His redemptive purposes. And He preserved what He wanted kept. The result is a body of literature that is recognized (to the exclusion of other literature) by those who have been born-again by God’s Spirit as receptors of truth; the believing body of Christ. The Word of God is truth, inerrant and infallible not because God breathed into an inanimate object, but because He breathed into His own likenesses and they were borne along compulsively as they were inspired by Him to do so. The common man in the pew believes that the book he holds in his hand ‘is inspired’, or the words from which it was translated ‘is inspired’, or the original from whence they came ‘is inspired’. They believe that the men were inspired and that inspiration was somehow transferred from the animate to the inanimate supernaturally. But the true doctrine of verbal inspiration stops at the author. The phrase “is inspired” is not adjectival. It is not a descriptive quality as some have come to believe; it is an action. My contention is that it is an action that can only be given to man, not objects. God’s breathing in is always mentioned in the Bible in reference to man, His likeness, beginning with Adam. The true doctrine of inspiration, in my view, is that God breathed into holy men of His choosing and they breathed out spirit/truth, which, because of this Divine superintending, can only result in inerrancy and infallibility, not “is inspired”.